Yes, it’s well intentioned. Yes, like many professions, people assume fundraising is easier than it actually is. And yes, it’s head-shakingly-funny some of the suggestions people make to fundraisers about how to do their jobs. 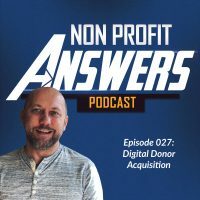 Here’s a few of the funniest, unfortunately too common, suggestions people make to nonprofit development teams on how to improve fundraising or how to raise money for a campaign. Just find a major donor to do a match. Can’t we just call a Foundation for this project? “Hey, somebody get Bill & Melinda Gates on the phone, they’ll want to fund this one!” Foundation fundraising is a time consuming process with applications, presentations, and lots of relationship building. Foundations don’t take phone calls and write you a check. They research the organization. They want details on the project. They want to build a relationship with the people at the nonprofit. They don’t take walk-ins. Have you ever heard of peer to peer fundraising? Yes we have. And yes, we’re doing/exploring/tinkering/deploying it. Peer to peer is an excellent fundraising tool and for some organizations, it is the number one channel for fundraising. But it isn’t a magic fundraising button that generates thousands of donors at will. If you explained the facts to someone, they’re going to give! You’re too emotional in your fundraising. If people only understood that millions of people are going to bed hungry, they’d give you more money! It’s not for a lack of facts. People don’t give to statistics, they give to someone in need. Tell a great story and people will give. Raise the money in social media. Can’t you create a viral post or something? Man, I wish we had thought of that idea! A viral post! That’s genius. We should create more of those. Perhaps we should encourage people to dump ice on their heads? Nonprofit Fundraising doesn’t happen by luck. It’s a skill learned over many years of failure and successes. It has it’s own rules, art, and science. the other day when someone asked me what I do( I am a major gift fundraiser for a hospital foundation) – they thought I sold the high ticket items in our gift shop!! I usually hear the opposite issue…how hard fundraising seems to be and how some of our direct service colleagues don’t think they could ever do it. Taking the mythology away, making the process obvious is so important.